Holidaymakers whose trips across the Channel were ruined by the recent blockade set up by protesting French fisherman have been advised to check their travel insurance. 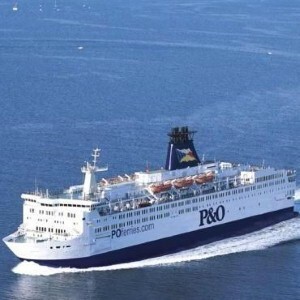 Ferry traffic between Britain and France resumed on Thursday morning (April 16th), as the French government worked to appease concerns of the country's seafarers over their fishing quotas. According to the BBC, holidaymakers whose ferry trips were delayed or cancelled might struggle to claim compensation from tour operators or hotel companies. However, it pointed out that people with holiday insurance might be covered, depending on the options that they chose when purchasing it. Citing statistics from the Air Transport Users' Council, the news agency also revealed that holidaymakers who suffer delays as a result of overbooked or cancelled flights can receive compensation from their airline. But it also noted that "extraordinary circumstances" such as bad weather or strike action could "absolve" airlines from having to pay out. This month, insurance provider Saga claimed that a quarter of Brits over 50 holiday twice a year, evidence which suggests they could benefit from annual travel insurance.